The Chevrolet Volt range-extended electric car scores higher on owner satisfaction than any other vehicle GM has sold since it began surveying its buyers. 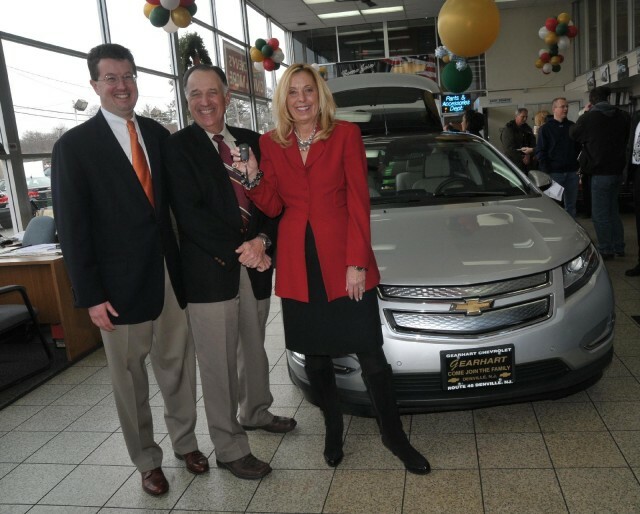 It has attracted new buyers who'd never otherwise haveconsidered a Chevy. And GM data reveals that 80 percent of all Volt trips, and two-third of all Volt miles, are covered on battery charge provided by the electric grid--despite its seemingly low electric range of 35 or 38 miles. In other words, the Volt is the electric car that gives you almost all electric running but none of the range anxiety of running out of charge. DON'T MISS: Should I Buy A Used Nissan Leaf (Or Another Electric Car)? That's because its 1.4-liter engine switches on when the battery gets low to recharge it enough so the car continues to drive for more than 300 miles. Gas it up, and you can do the same again. That's a great concept; it's also extremely hard to explain, advertise, and market--and to date, GM hasn't done a very good job at any of that. As it enters the used-car market, the Volt appears to be a high-quality and reliable option for those who want to drive electric most of the time but need the assurance that, if required, they can knock out 250 miles at a stretch. The first-generation Chevy Volt went on sale in December 2010, and lasted five model years. Total production was likely around 100,000 units, when you include Volts sold in Canada and other markets--including its Opel/Vauxhall Ampera siblings (now discontinued). An all-new 2016 Chevrolet Volt goes on sale next month in California, with 53 miles of range and a 41-mpg combined gas mileage rating when operating on engine power. The first-generation Volt is an aerodynamic five-door, four-seat compact hatchback. Its rear seats are tight, with the T-shaped lithium-ion battery pack fitted down the tunnel and under the rear seats. The Volt is about the size of its sibling the Chevrolet Cruze compact sedan, but the range-extended electric Volt successfully aimed at an entirely different market. 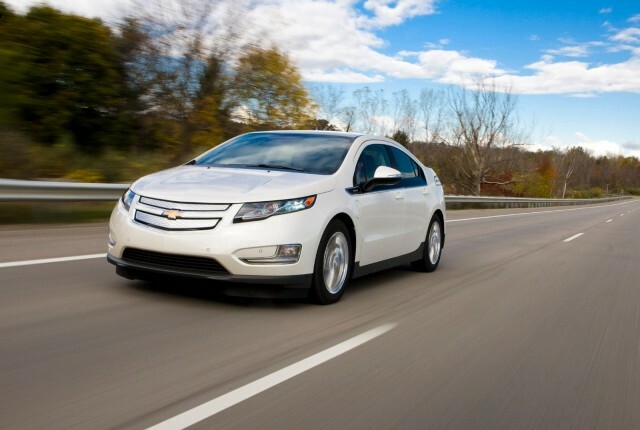 What should you know when starting to consider buying a used Chevy Volt? 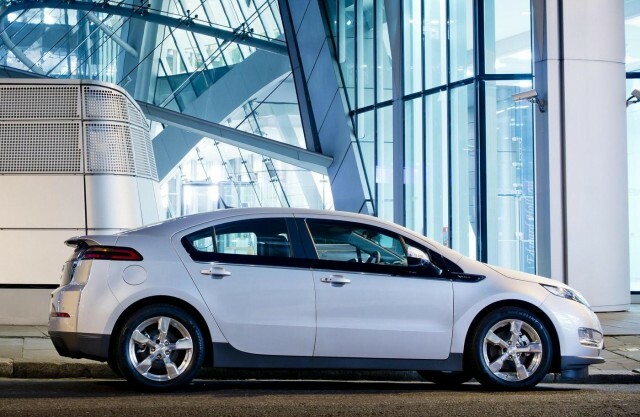 The asking price for a used Chevy Volt will vary greatly, depending on whether it's being sold privately or by a dealer. Of course age, mileage, and battery condition will play a role too. Unlike the Nissan Leaf, however, Chevy Volts so far have shown virtually no evidence of notable battery degradation. 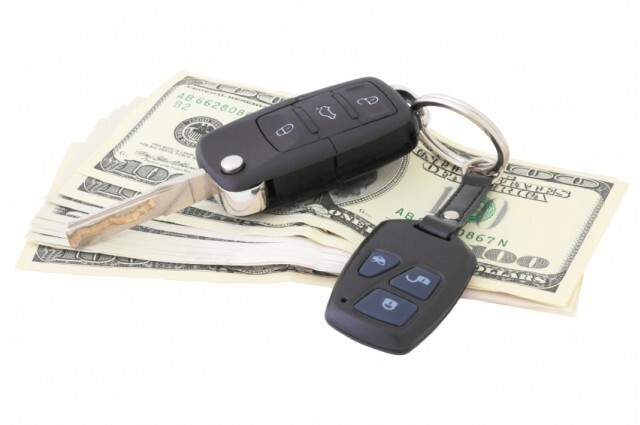 In general, cars bought from individuals will be lower-priced than those offered at dealerships, for whom selling used cars is generally more profitable than selling new cars. We've heard reports and seen listings for the oldest Volts (from the 2011 and 2012 model years) now offered at prices below as $14,000, but most seem to be in the $18,000-and-up range. Used Leafs, on the other hand, are now frequently offered for as little as $9,000--meaning the Volt definitely holds its value better. You can sort through used Volt listings on The Car Connection and other sites to get a sense for what's available near you. Remember that the new 2016 Chevrolet Volt, which goes on sale in California next month, starts at about $33,500--but that's for the base model. High-end and heavily optioned models will carry sticker prices of more than $40,000. 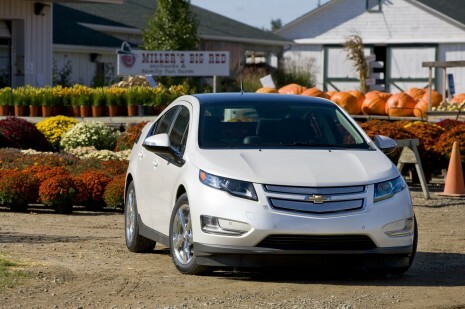 Finally, Chevrolet dealers offer used Volts through the brand's Certified Used vehicle program. While prices will again be higher than those bought from individuals, such programs add a measure of reassurance for those who prefer to buy used cars that have been carefully checked over by the dealer to ensure they meet Chevrolet's strict guidelines. Anyone who uses a cellphone or a laptop computer knows that batteries degrade over time. So it's entirely logical to ask whether the same has started to happen with the liquid-cooled lithium-ion battery pack in a used Chevy Volt. Let's be very clear: Your phone battery can be trashed in a year or two--and that is NOT the case with an electric car. First, all electric-car batteries are warranted against total failure for either 8 years/100,000 miles or 10 years/150,000 miles, depending on what state you live in. Second, unlike the battery in a Nissan Leaf, the Volt is designed with a liquid heating and cooling system to keep the temperatures within a specific range. That counters the excess heat that can notably shorten the life of battery cells.The Nisan Leaf, on the other hand, uses only passive air cooling. That design decision has already led to a handful of reports of significant Leaf battery degradation in extremely hot climates like Arizona. The Volt had no similar reports. The price for a replacement Volt battery pack hasn't been released, as far as we know, but the need for one is likely to be so rare that potential buyers probably don't need to worry about it. It's now relatively public that used electric cars have significantly higher depreciation than their gasoline counterparts. So it's reasonable to ask, "Why did they lose their value so quickly?" It's due to at least two factors. First is unfamiliarity: With less than five years of history, buyers just don't know how a used Volt will fare when it's 10 or 12 years old. Second, however, is a financial quirk. Buying a plug-in electric car with a battery pack of 16 kilowatt-hours or more, including the Chevrolet Volt,can qualify you for a Federal income-tax credit of $7,500. RELATED: Used Electric Cars: Which Hold Their Value Best? Which Is Worst? In other words, that Volt's first owner likely paid $7,500 less than the sticker price once he or she took the credit. That applies whether the owner was an individual or a leasing company. Re-run the depreciation numbers using the "effective price after incentives"--California and other states have their own incentives on top of the Federal credit--and the numbers don't look nearly so bad. And the numbers for the Chevy Volt are better than those for the Nissan Leaf after both are adjusted. In almost any area of the country, there will be a prevailing minimum value for any used car of any age that runs decently. it's possible that the second owner will find a Volt depreciating less than the first, who incurred that higher depreciation. The first thing to know about used Volts is that over the five years of production, there were three different battery-pack capacities. The pack was released for 2011 at 16.0 kilowatt-hours, and this pack was used in 2012 Volts as well. It was enlarged to 16.5 kWh in 2013 and 2014 Volts, and then again to 17.1 kWh for a single model year, 2015. When running on its range-extending 1.4-liter four-cylinder engine, the 2011 and 2012 Volts were rated at 37 miles per gallon combined--at that time, better than any non-hybrid vehicle on the market. For 2013 and 2014, the range rose to 38 miles and the efficiency to 98 MPGe--though the engine's fuel efficiency stayed put. 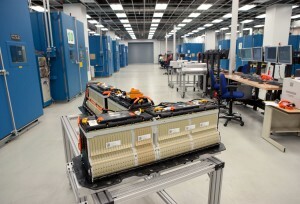 These Volts were able to draw on 10.8 kWh of the total battery energy, rather than the 10.3 kWh of 2011 and 2012 models. 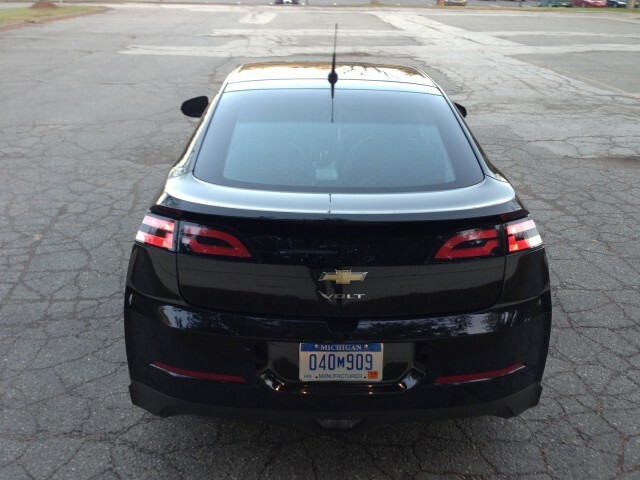 For 2015, Chevrolet didn't bother to re-certify the Volt despite its larger battery, knowing that it would be replaced with an all-new 2016 design in just one model year. That means the ratings for a used 2015 Volt remained the same as the two prior years--38 miles, 98 MPGe, and 37 mpg--though it would likely have been re-rated at a higher 41 miles of range if it had gone through the full EPA process. That may make the 2015 model the best of the used Volts, because it will have the most electric range. Beyond that, each model year differed slightly. 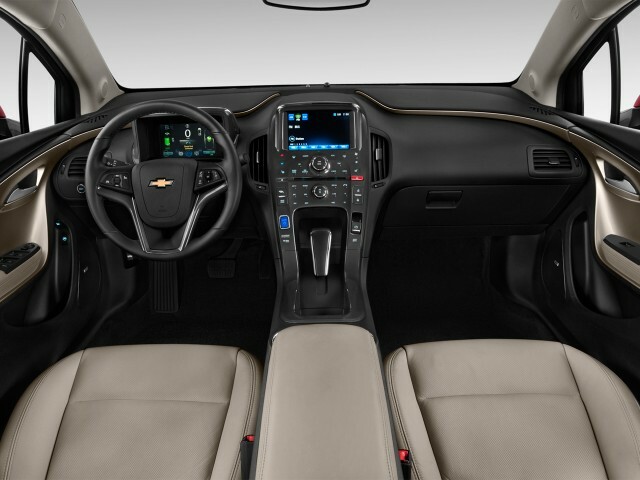 As launched in December 2010 at a price of $41,000, the Chevy Volt range-extended electric car came fairly well equipped. Its center console used capacitive touch switches rather than conventional knobs and could be ordered in a high-gloss bright white color that reminded observers of the day of Apple iPods and other consumer electronics. Only three options could be added for 2011: rear camera and park assist technology ($695), premium leather interior ($1,395); and polished alloy wheels ($595). Several metallic paint colors added a further premium, from $495 (red) to $1000 (White Diamond or Viridian Joule). The 2012 Volt received a $1,000 price cut, to $39,995 including a mandatory $850 delivery fee, but it was subtly "decontented" in several ways over the better-equipped 2011 Volt. 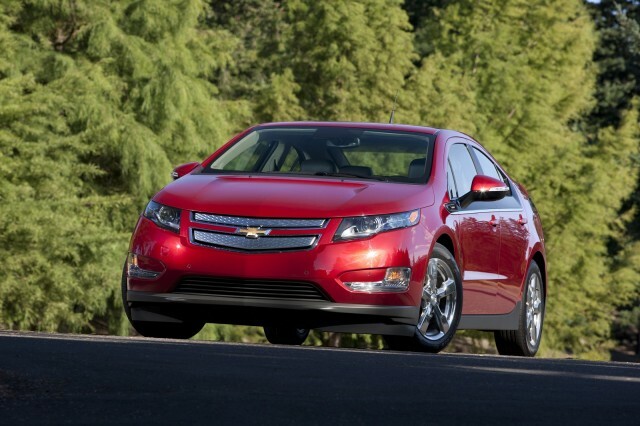 The price of a 2012 Volt comparably equipped to a 2011 model actually rose to more than $43,000. In 2012, two previously standard features became extra-cost options: the navigation/DVD system now cost $1,995, and the premium Bose sound system required an additional $495 fee. GM has also cut the complimentary OnStar coverage to three years from the 2011's five-year plan; each year was priced at$299. Proximity locking/unlocking was added for 2012 at no charge, however. 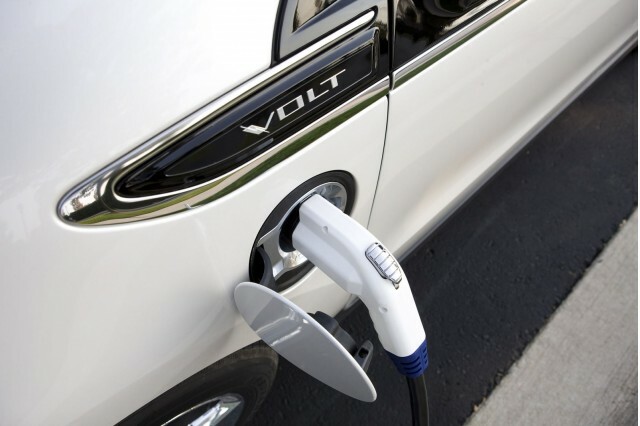 And in March 2012, GM announced it would replace every 120-Volt charging cable supplied with new Volts to date. Many owners had reported overheating and melted cables; the replacement charging cord does not appear to suffer from those issues. Midway through the 2012 model year, a special version of the Volt was released solely for California and other states that adopted its stricter emissions laws. That version had more emissions control equipment to qualify it as a "Transitional Partial Zero-Emission Vehicle." In practical terms, that allowed this version of the "2012 1/2 Volt" to qualify for California's coveted "green sticker" allowing single-occupant use in carpool lanes on its notoriously crowded freeways. 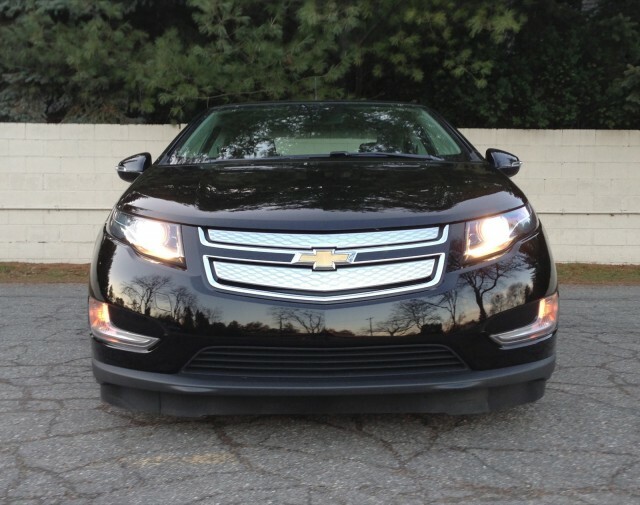 For its third model year, the Volt received an extensive package of revisions, upgrades, and equipment changes. The most notable was a battery-pack capacity increase from 16.0 to 16.5 kilowatt-hours, boosting electric range from 35 to 38 miles and efficiency from 94 to 98 MPGe. Visually, 2013 and later Volts can be distinguished by a liftgate and roof were painted body color, rather than the gloss black of 2011 and 2012 models. A new interior color--Pebble Beige--was added, in both cloth upholstery and leather seats with suede inserts. A removable rear-seat center armrest was included in the Premium trim package. 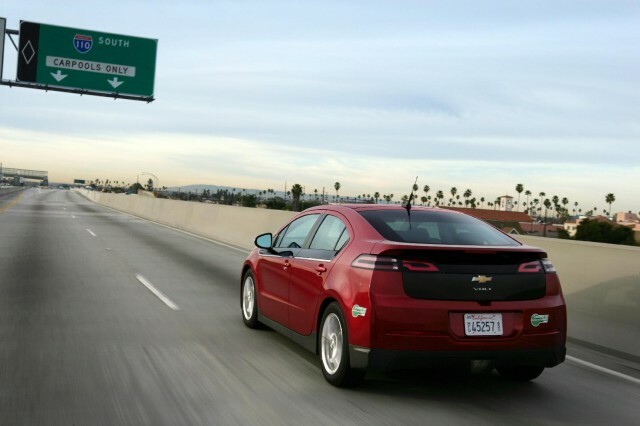 Three emission-level options were available: standard, the e-AT-PZEV specifiation that earns the Volt a coveted "green sticker" for single-occupancy HOV lane s in California, and a new AT-PZEV level. Safety Packages came in two levels: Package 1 includes an auto dimming inside rear-view mirror, rear park assist and the rear camera, and Package 2 adds front park assist forward collision alert and lane departure warning. A removable rear-seat center armrest was included in the Premium trim package. 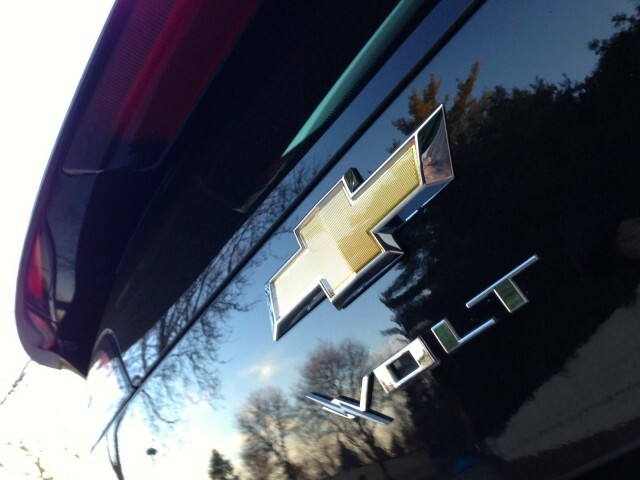 Chevy also fitted the low-emission package from later 2012 Volts sold in California to those 2013 Volts sold in New York state, making them eligible for High-Occupancy Vehicle (HOV) lane access with only a single occupant. 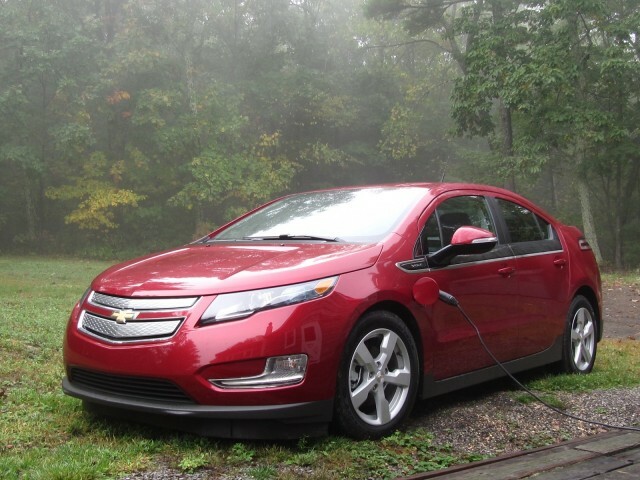 The big Volt news for 2014 was a reduction of $5,000 in the base price, which was reset to $34,995. That price includes a mandatory $810 destination fee, but no optional equipment. The only other announced changes for the 2014 model year were a leather-wrapped steering wheel and two new paint colors: Ashen Gray Metallic and Brownstowne Metallic. The sole notable change for the first-generation Volt's final model year was another battery capacity boost, again due to improved chemistry in the lithium-ion cells provided by LG Chem. Few if any other changes were made, and the 2015 Volt quietly ended production in May 2015 to allow the Detroit-Hamtramck Assembly Plant to be retooled for the all-new second-generation 2016 Chevrolet Volt. While early owners of plug-in electric cars occasionally found that their insurance companies charged more than for comparable gasoline cars, insurance rates for the Volt have settled down. In fact, they're now comparable to those for other compact hatchbacks and may even be slightly cheaper than those for gasoline-only vehicles. As always, shop around for the best rate. 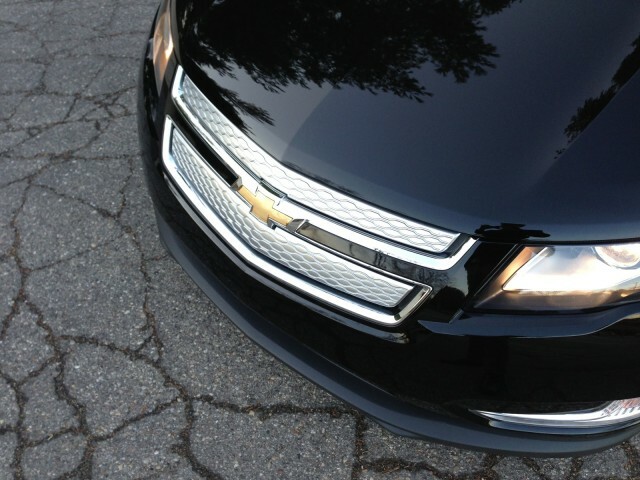 But don't assume by any means that insuring a Volt will be any different from insuring any other car. Anyone who buys a used electric car is venturing into somewhat unknown territory, just like the pioneers who bought Volts four and half years ago when they first went on sale. Still, buying a used car always brings with it some uncertainty. Luckily, Volts appear to be rock-solid in the area that has raised significant concerns with the Nissan Leaf: battery durability. For a used Volt, you should check over all the usual things that you'd check on any used car: Has it been wrecked or repaired? Do all the accessories work? Which options does it have? Does it bear signs of hard use? Used Volts are not nearly as cheap as used Leafs at the moment, and that likely reflects the market's assessment that they--or perhaps more accurately, their batteries--may prove more durable than Nissan's pioneering battery-electric hatchback. There is one final warning, however. As any new Volt owner will tell you, attempting to drive every last possible mile on electricity may well lead you to change your behavior. You may now seek out charging opportunities, spend a bit of time planning your routes and your travels around electric range, and otherwise work to get that combined gas-mileage number on the screen up toward its 250-mpg maximum. Not to mention the morning household battles over who gets to take the electric car and who is forced to use that noisy, vibrating, old-fashioned gasoline car.